Today’s Petri.com article covers the new user interface for Outlook Web App (OWA). As with any software that’s under active development, there are some glitches and missing features, but overall the new design looks solid. In some ways, this is to be expected because Microsoft tried out the new UI framework when it launched the new interface for Outlook.com. As you probably know, Outlook.com and Exchange Online share the same infrastructure, so in one sense it is relatively easy for Microsoft to transfer the work to the commercial platform. However, even though many features are common to both platforms, the functionality of OWA differs from Outlook.com, so considerable effort is needed to make sure that all features support the new framework. Some observers have claimed that the new interface is based on React.js. It’s absolutely true that the new OWA uses React.js, but it’s equally true that many other open source components are used too. The new OWA is in targeted release for now. As it matures and functionality is complete, it will move into general availability. Once that happens, probably close to the end of 2018 or early 2019, you’ll have about 60 days to make the transition from the old UI. The extended period is intended to allow tenants to prepare help desk, documentation, and anything else needed to support users. 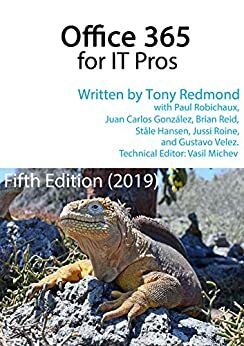 Chapter 10 is where we talk about clients in the Office 365 for IT Pros eBook. Then again, clients pop up all through the book, so there’s plenty to read.